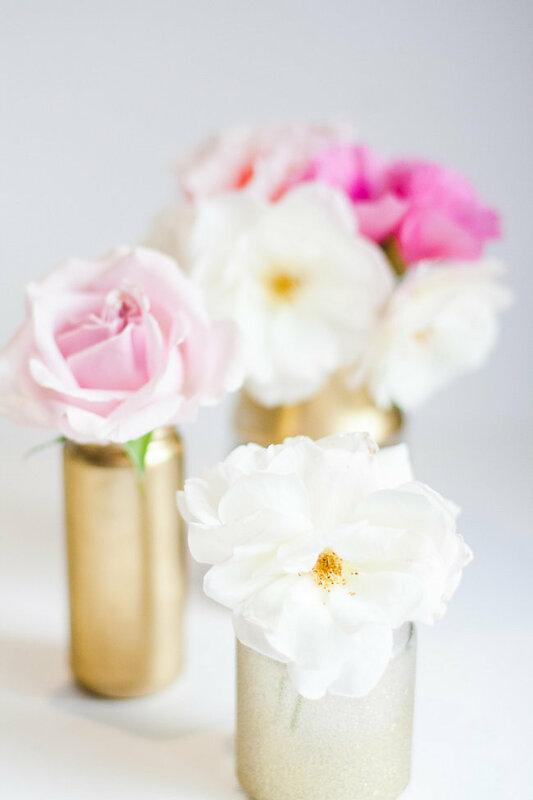 DIY Vases from Upcycled Jars. 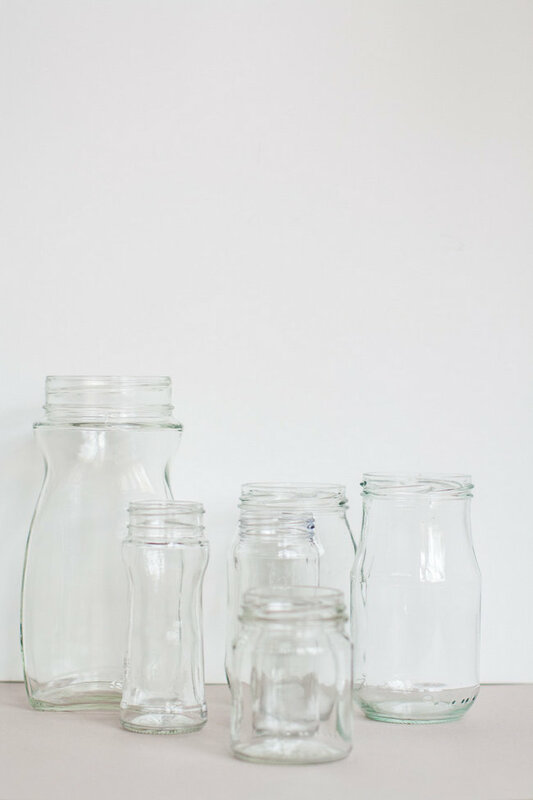 Trying to figure out what to do with all of those glass bottles and jars that keep appearing? We’ve got the solution. 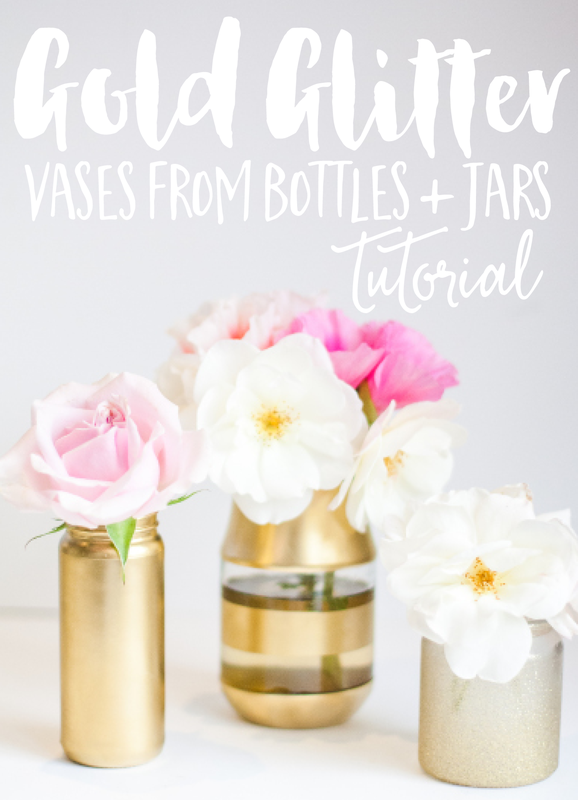 Add a few coats of gold paint to create these pretty DIY Vases from upcycled jars for your home office, windowsill, guest bedroom or dining room table. 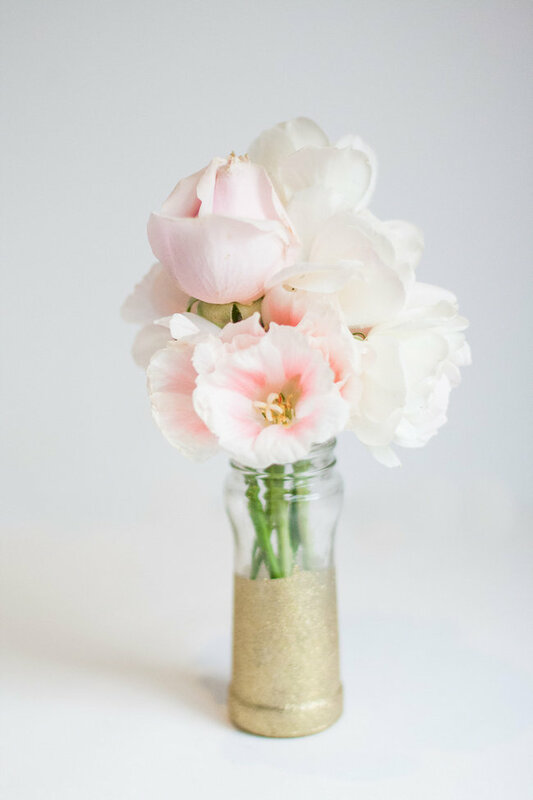 In fact, these little beauties make the perfect upcycled gift for a friend or neighbour when filled with a few fresh flowers. If they’re picked from your garden, even better! 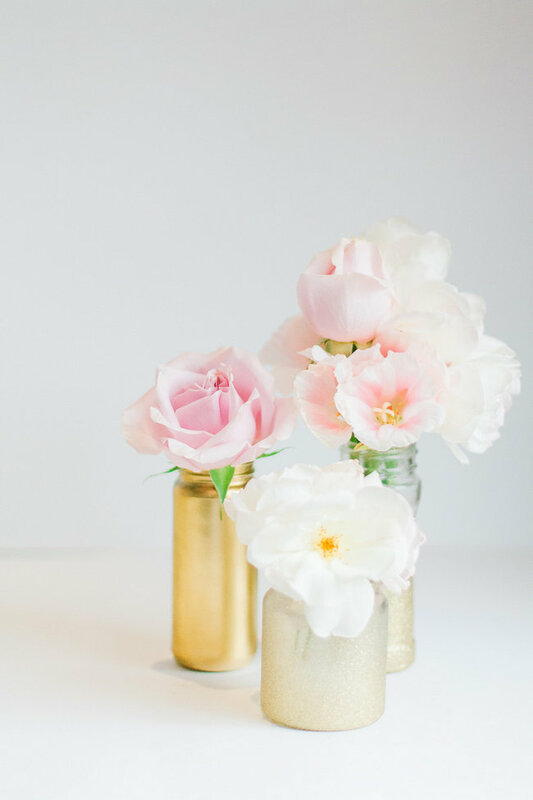 The uses for these jars are actually endless – we also use them in our craft room to store all sorts of odds and ends including pens, paintbrushes, nibs, ribbon, twine, fabric scraps and more. 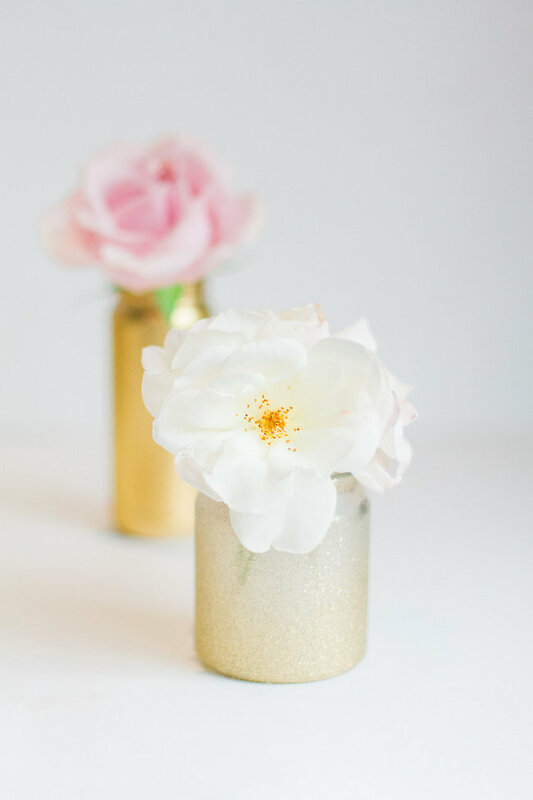 And let’s not even get started on what a fabulous addition these jars will make to the table at your holiday dinner parties, birthday celebrations or even a wedding! Wash and dry all bottles and jars beforehand. Select a well ventilated space in which to work. Outdoors is recommended. Prepare your work area by laying down newspaper. 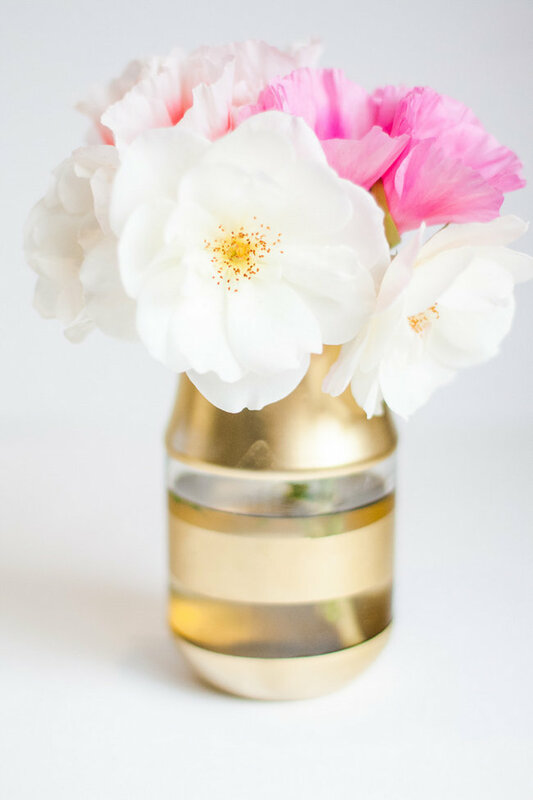 If you wanted patternd vases, wrap the bottles with tape to create stripes. Play around with thick and thin designs to create fun patterns. 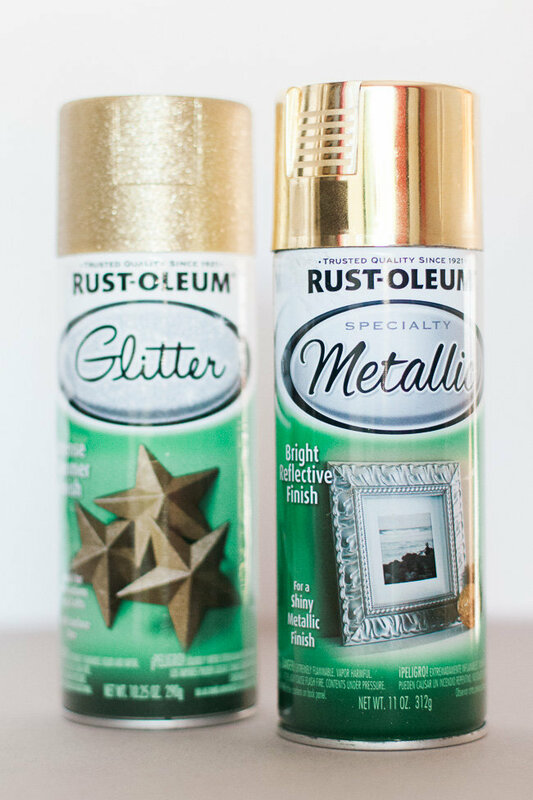 Follow the usage and safety instructions on your paint, apply gloves and spray the bottles with a few coats of your desired paint. 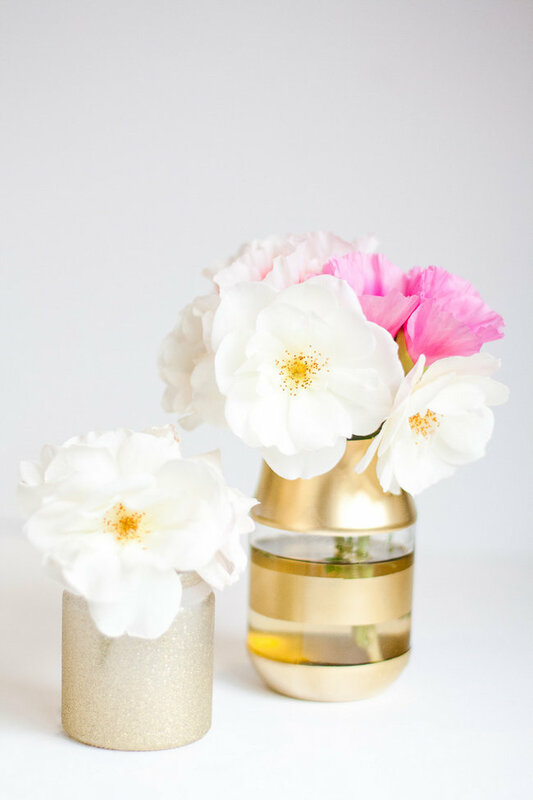 Allow to dry, add pretty petals and you’re done creating your DIY Vases from upcycled jars! 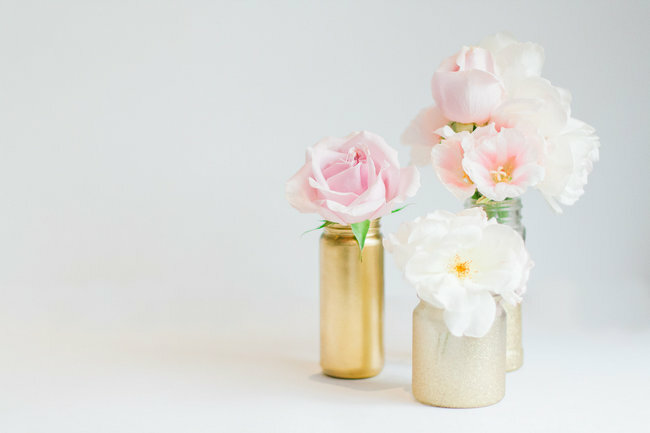 Like, seriously, how freakin cute are these little vases? !